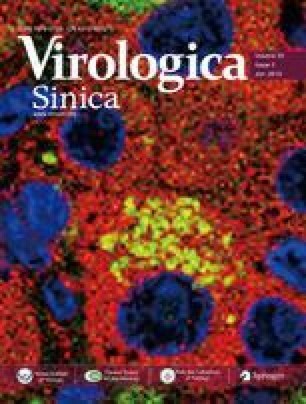 HEp-2 cells persistently infected with respiratory syncytial virus (RSV) are a heterogeneous mixture of viral antigen-positive and -negative variants; however, the mechanism through which viral replication becomes latent remains unclear. In this study, we investigated the potential mechanism by which RSV escapes from innate immune surveillance. Persistent-infected RSV HEp-2 cells were isolated and cell clones were passaged. The RSV-persistent cells produced viruses at a lower titer, resisted wild-type RSV re-infection, and secreted high levels of interferon-ß (IFN-ß), macrophage inflammatory protein-1α (Mip-1α), interleukin-8 (IL-8), and Rantes. Toll-like receptor 3 (TLR3), retinoic acid inducible gene-I (RIG-I), and suppressor of cytokine signaling 1 (SOCS1) levels were upregulated in these cells. The silencing of TLR3 mRNA decreased the expression of SOCS1 protein and the secretion of cytokines. RSV-persistent cells are in an inflammatory state; upregulation of SOCS1 is related to the TLR3 signaling pathway, which could be associated with the mechanism of viral persistence.